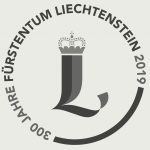 Liechtenstein celebrates its 300th anniversary this year. This means that the world’s sixth smallest state has been around for longer than its large neighbors Germany and Austria, for example. The Principality therefore offers the continuity that is especially necessary for asset management across generations. Founded in 1719 as an Imperial Principality, Liechtenstein has succeeded in establishing itself as an independent state. The small Principality located on the Alpenrhein is now home to global corporations and a flourishing financial center. Decisive factors for this success have been, among others, Liechtenstein’s constitutional foundation, solid state finances (with regular triple-A ratings), and efficient administration. As part of this success story, however, a key role is also assigned to the Princely House. Embark on an insightful and entertaining trip through Liechtenstein’s history with the former Prime Minister Otmar Hasler and find out just how greatly the Principality’s current qualities are rooted in its history. The Principality was founded during the Age of Enlightenment: at this time, Europe was inspired by the idea that people are inherently entitled to certain rights and freedoms and that they can take their destiny into their own hands. As such, worldly leaders were from then on unable to simply justify their position as God-given. Rather than being based on dynastic tradition, their rule would now be underpinned by law and order. How did the Princely House of Liechtenstein position itself during this period? Otmar Hasler: In 1719, the oath of allegiance was given very much in the tradition of early absolutism. The Princes of Liechtenstein thus saw themselves as absolute rulers. The first official instruction of Prince Anton Florian also entailed radical reforms, which impinged on the order of the new Principality, giving rise to a dispute with the population. This was followed by a struggle both for the power of the Prince and the rights of the people. In the constitution of 1862, the Prince was tied to the constitution for the first time. And in 1921, the constitution assigned state authority to the Prince and the people, providing new regulations for the interactions between the bearers of state power. 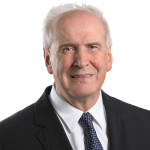 The constitutional monarchy based on a democratic foundation represents a strong symbol of independence and made the unexpected rise of Liechtenstein to become one of the most prosperous countries in the world possible. "The constitutional monarchy based on a democratic foundation represents a strong symbol of independence." 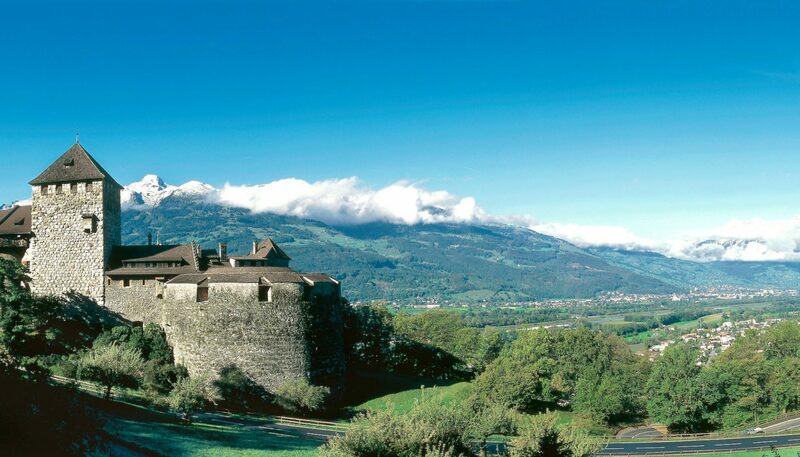 Some observers believe that Liechtenstein as a Principality has succeeded in continually advancing its position without putting its own identity and freedom of action on the line thanks to its alliances and partnerships. Modern examples include its membership of the European Economic Area (EEA) and the currency and customs union with Switzerland. How important is the bridge function between Switzerland and Europe for the Liechtenstein economy in general – and specifically for the financial center? Otmar Hasler: Liechtenstein’s economy lives from the exporting of its goods and services and it has almost no internal market. Free market access is thus essential for the Principality’s survival. The customs agreement with Switzerland and the membership of the EEA mean that Liechtenstein is optimally positioned. The financial center benefits from the political stability, the high quality of services, and a stable currency, and continues to offer a high level of protection for private property. Membership of the European Single Market guarantees Liechtenstein complete freedom to provide services in all EEA states. For example, financial products denominated in Swiss francs can be distributed from Liechtenstein across the entire area of the European Union (EU). We thus know that foreign and domestic policy are closely intertwined in our small Principality and that our foreign-policy involvement in major associations makes a decisive contribution to Liechtenstein’s prosperity. Long before the EEA and customs union, joining the Confederation of the Rhine in 1806 was an important step for the Principality. Under the military protection of Napoleon, Europe became more modern – was this also true for Liechtenstein? Otmar Hasler: Liechtenstein’s time in the Confederation of the Rhine was indeed a period of reforms. Prince Johann I was willing to modernize the Principality in keeping with enlightened absolutism, even if this was met with resistance from the population. Some of the reforms were extremely important for the development of the Principality. These include the introduction of general compulsory schooling, the end of serfdom, the introduction of the land register, the creation of the Municipalities Act (Gemeindegesetz – GemG) in 1810, and the introduction of the Liechtenstein General Civil Code (Allgemeines bürgerliches Gesetzbuch – ABGB). The church reform referred to earlier subjected the church to the supervision of the state. It can thus be said that the Prince played a decisive role in modernizing the state. Has the Prince remained a political factor to this day? Otmar Hasler: The creation of the constitution of 1921 saw the division of state authority between the Prince and the people. The duties and authorities of the highest state bodies are laid down in the constitution. Some of these must be performed independently, while others are implemented in cooperation with each other. Since this time, the Landtag and the government have had a great influence on the Principality’s political development. The Princely House gets involved in discussions with proposals for long-term reform and generally confers with the government. This dualistic constitutional framework, which is based on the interaction of state bodies, requires the coordination and cooperation of these parties, a fact that strengthens the system. "The Princely House gets involved in discussions with proposals for long-term reform." What makes you positive that Liechtenstein will still be able to take an independent path in the future and continue to find its own way in a changing world? Otmar Hasler: In a world in which geographic size and increasingly also military strength are ever less decisive with respect to prosperity and security, new development opportunities are opening up for small states. Short decision-making pathways, efficient networking, and the timely anticipation of developments, for example in the area of digitalization and new technologies in all areas of life, allow a state like Liechtenstein to successfully position itself and adjust to new circumstances time and again. I am convinced that we will also succeed in doing so in the future.